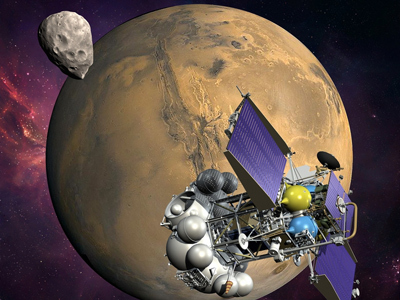 Russian space experts are battling to fix a technical failure on board an interplanetary craft that was heading to the Martian moon Phobos, amid fears the ship could crash back to Earth without ever reaching its goal. 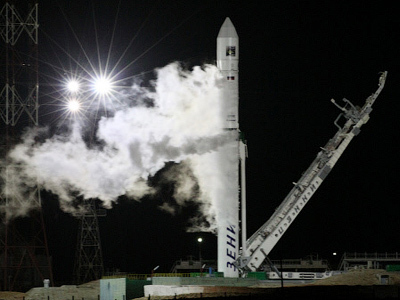 ­It was hailed as Russia’s first interplanetary mission in 15 years. 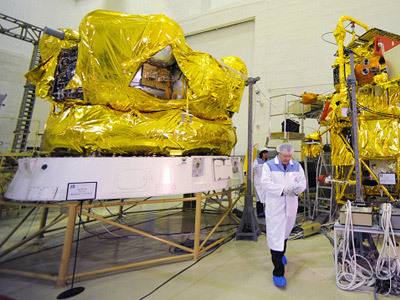 However, it looks like becoming the fourth unsuccessful attempt by Russian scientists to explore Mars and its moons. Two automatic stations, Phobos-1 and Phobos-2, were launched in July 1988. However, both failed – one two months after the launch, the other just after it had started to transmit photo and video footage from Phobos’ orbit. In 1996, yet another mission to Mars ended with the craft splashing into the Pacific. 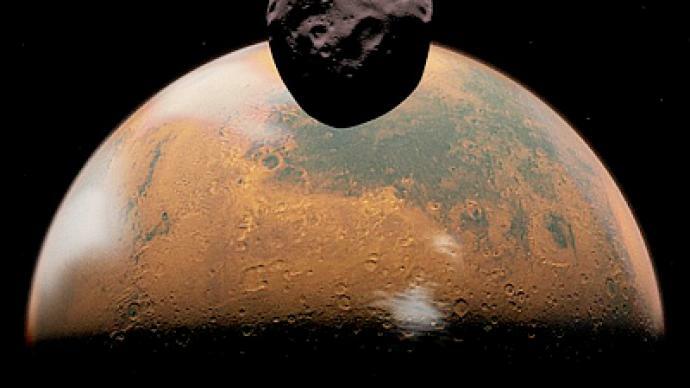 When the rocket carrying Phobos-Grunt launched on Wednesday from Russia’s Baikonur cosmodrome in Kazakhstan, hopes were high that the station would bring back samples from one of Mars’s moons, thereby advancing our understanding of how the universe evolved. Now, it looks like those expectations were in vain. The rocket booster performed correctly, taking the craft into its programmed orbit where the engines of the second stage were supposed to send the spacecraft on a trajectory to the Red Planet. They never ignited. Since then, mission control has been frantically trying to work out what went wrong, and diagnose whether it was a software problem or a mechanical breakdown. Whichever was to blame, the outcome remains the same – all efforts to get the mission back on track have proven fruitless. Attempts to establish contact with the lifeless spacecraft, and repeated bids to upload commands via a software link, have brought no response. Russia’s space agency Roscosmos has remained tight-lipped, stubbornly refusing to offer any official comment on the space fiasco. However, unofficial and unnamed sources admit that hope of making contact with the spacecraft is running out. So instead of setting out on a historic journey to the Red Planet, the Phobos-Grunt craft will spiral down towards Earth, burning up in the atmosphere by the end of November or beginning of December. The date predicted for its landfall is November 26. After plummeting through the atmosphere, the craft will most likely fall into the ocean. The 10 tons of highly flammable and toxic fuel and a small quantity of radioactive material contained in the equipment on board the space mission will burn up along with most of the ship. The chances of the spacecraft falling on a populated area and causing harm are minuscule. However, the risk cannot be ruled out, so averting such a scenario is what mission control are working on right now. Even if the vehicle causes no damage on landing, it represents a huge loss to the scientific community. 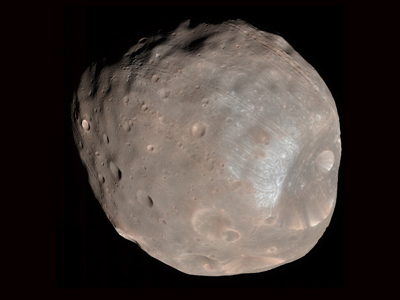 The rocks and dust samples it was meant to collect from Phobos were highly-anticipated. Another key experiment the mission had been due to perform was dubbed Life and involved testing the “panspermia” theory. The ship was carrying bacteria which were to be monitored to discover whether genetic material are able to survive a journey in open space. The Phobos-Grunt mission was also carrying a small Chinese satellite that was to orbit Mars, collecting data continuously. Now that the chances of rescuing the mission and its precious cargo of computers are dwindling, the main concern is where the wreckage of the ship will fall, and what harm it might bring.